www.initialstate.com is a great data broker and visualization platform for IoT devices. 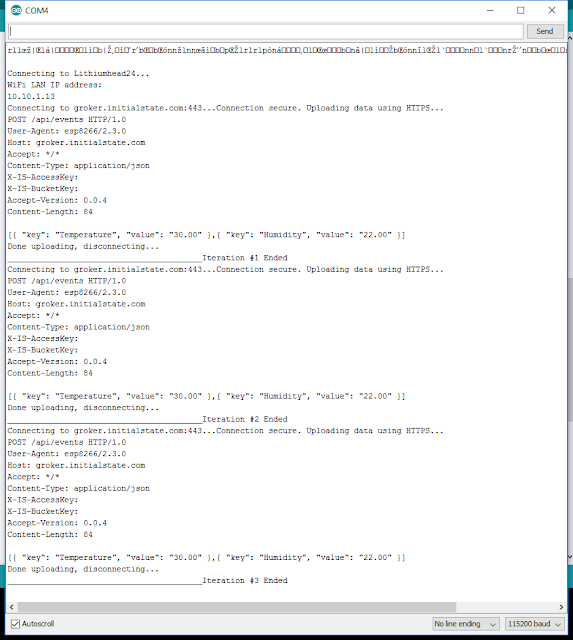 Up until now it was out of reach for ESP8266 fans because the Arduino environment for ESP8266 did not support SSL/TLS connections. But now it does. So here is how to get HTTPS working on ESP8266 using Arduino IDE and upload readings from DHT11 every 10 seconds. 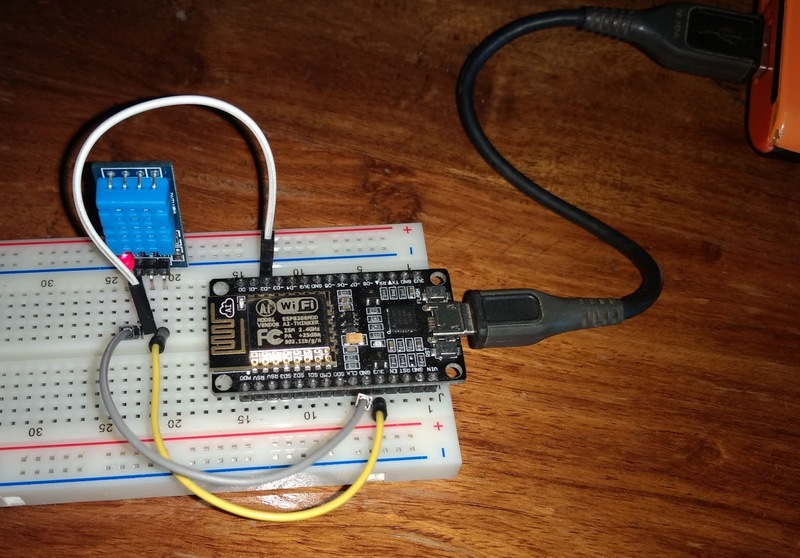 Assemble your ESP8266 and DHT11 circuit. You will need 3 jumper cables and a breadboard to connect 3 signals from ESP8266 to DHT11 module. 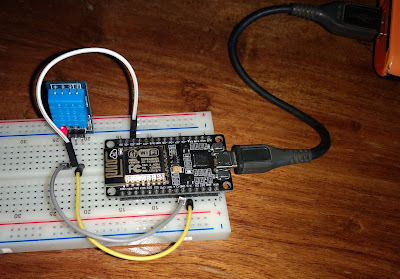 Connect pin marked D2 on ESP8266 to DHT11's data pin. Also supply 3.3V and GND from ESP8266 to DHT11's Vcc and GND. Plug your ESP8266 into your computer's USB port using a microUSB cable. Get a free account on www.initialstate.com, create a new bucket and make a note of the Bucket key and Access key.